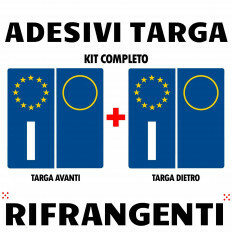 Kit adesivi rifrangenti riflettenti catarifrangenti in materiale 3M scotchlite da applicare su qualsiasi superficie incollandoli,ideali per moto vespa caschi macchine camion ma anche per interni in camere sale. 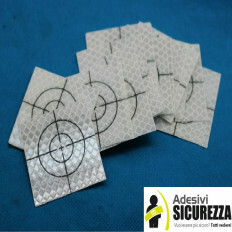 Hanno una durata di 7 anni e sono resistenti all'acqua,in fondo all'asta alleghiamo la scheda tecnica prodotto professionale tagliato e progettato in Italia in nostro laboratorio. 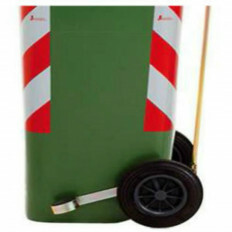 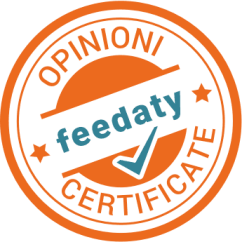 Resistant to atmospheric agents, thin and durable vinyl material.Standard dimensions: 4.6cm x 9.8cm.Easy to apply on a clean, dry surface, once attached it will not look like a sticker but part of a number plate. 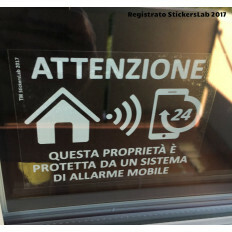 Stickers to prevent theft of vehicles to be placed inside the vehicle on the glass.Great to discourage malicious people and warn them of the presence of localization technologies.Apply on a clean and dry surface, heat and UV resistant.ADHESIVE ONLY FOR INTERIOR. 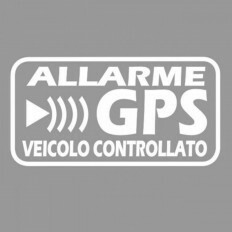 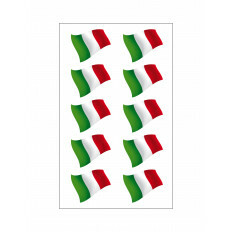 High quality italian flag vinyl band.Heat resistant and cold, guaranteed 7 years by manufacturer.Suitable for being applied on motorcycles, cars and curved surfaces,the true must-have for Vespa or Fiat 500.Waterproof, resistant to UV and sunlight rays.More widths available at your choice. 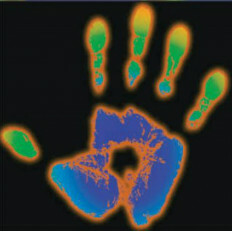 Thickness: 64 micron. 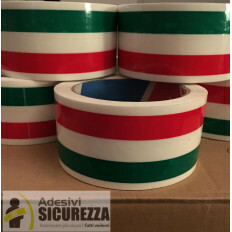 Adhesive tape for packaging printed by us.highadhesive forceto safely close boxes and much more.With this tricolor ribbon you will give aunique lookto the objects on which it is affixed.Size 50mm (5cm) x 66 meters, available in quantities of select in the menu below. 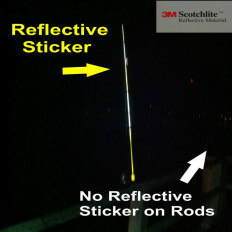 Reflective stickers with targeted cross.Made with 3M™ Diamond Grade™ micro prismatic material.Great adhesion at any surface.Packaging of 20 pieces available in different sizes you can choose in the drop menu. 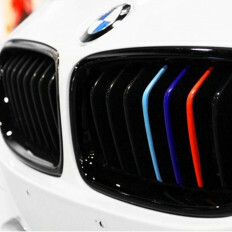 Suitable for BMW Series 1, 2, 3, 5, 6, 7, X3, X4, X5, X6 models.Material: PVC sticker, water and UV resistant.Color: as in photo.Size: 5x20 cm (3 strips). 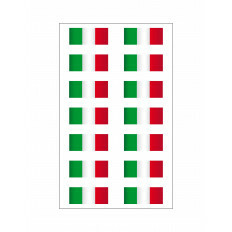 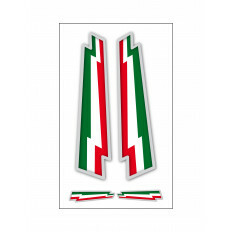 4 thunderbolt italian flag vinyl stickers.Ideal for Vespa or Fiat 500.Waterproof, resistant to UV and sunlight rays.Plastic construction means that this material is not susceptible to corrosionMeasures: 10x16 cm each one. 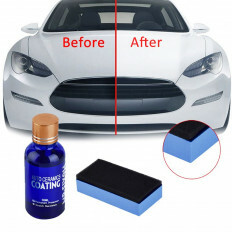 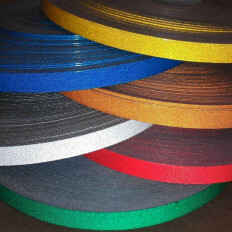 SERIES 580E is the best brand on the market, the material is refractory, reflective and approved.On sale 24m x 7mm tape, discounts for more units.Great for personalizing your car and making it easily visible in the dark.Available in multiple colors, technical data sheet if request. 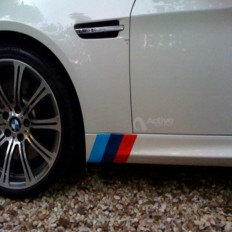 Material: adhesive PVC, easy to cut.Measure: 1 meter x 15cm (3 strips).For the grid of various models BMW 1, 3, 5, 6, X 3, X5, X6 series M Perfomance.Water and UV resistant. 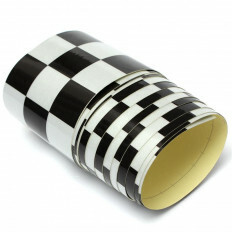 Material: adhesive PVC, easy to cut.Measure: 20x5cm (6 strips).Ideal to be applied in various models BMW 1, 3, 5, 6, X 3, X5, X6 series M Perfomance.Water and UV resistant. 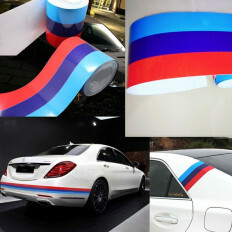 Adhesive strip with all 3 colors attached in a single roll model M series of the BMW, the width is 15cm and is on sale optionally in the measure below depending on where you have to apply it as you see from the photos. 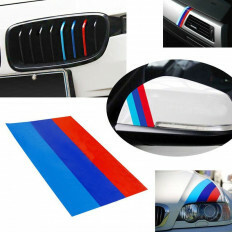 You can stick it on any model BMW M3 M5 M6 E46 E61 E90 E92 3/5/7 Series and other models.They are removable without leaving a trace.